with the PROFIBUS monitor BC-502-PB at the PROFIBUS UK 20th Anniversary conference. “A lot has to happen until the bus fails and the system is standing still!” The practice shows that PROFIBUS is a rugged fieldbus. Malfunctions that happen just the same, mostly can be traced back to the bus physics. Usually, the first sign of a deterioration in bus quality go unnoticed by the “normal” bus participants. Aging, corrosion, damaged or worn cables are typical examples of the underlying causes. 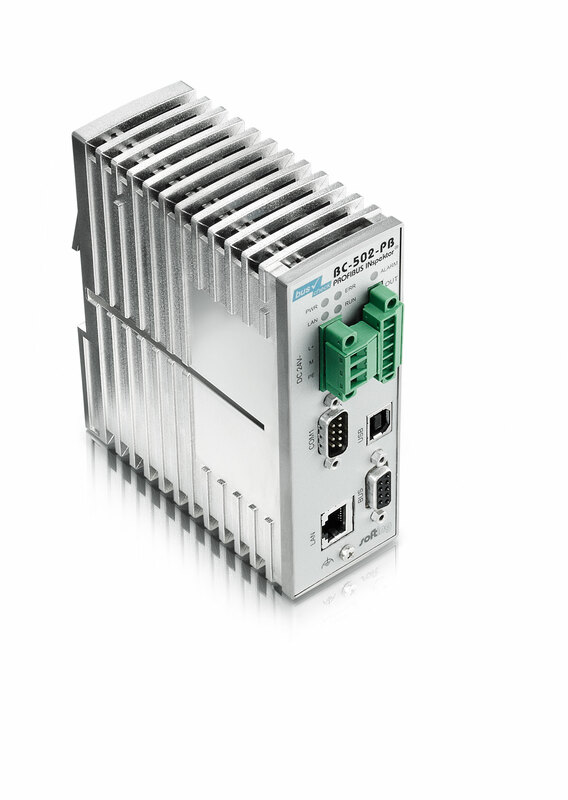 To forestall a costly system failure with adequate measures, it is important to recognize the early warning signals and indicate the actual maintenance requirements: Softing’s stationary PROFIBUS Monitor BC-502-PB “understands” the bus communication and detects problems before the network failure. The tool’s open functionality allows use across all controller and PROFIBUS device types. Moreover, one PROFIBUS Monitor per bus line is all that is needed – no matter how many physical segments are to be monitored. Register now to ensure your place and to be kept up to date with the conference programme as it develops. A Certificate of Attendance can be supplied if ordered at time of registration.